.37 acres, located north of Wrightwood east of Sheffield. Doggie drinking fountain. 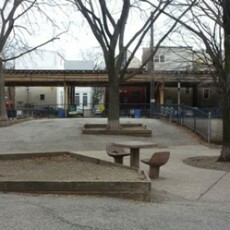 Located in the Lincoln Park community, Noethling Playlot Park is a half acre dog-friendly area known to local residents as Wiggly Field.